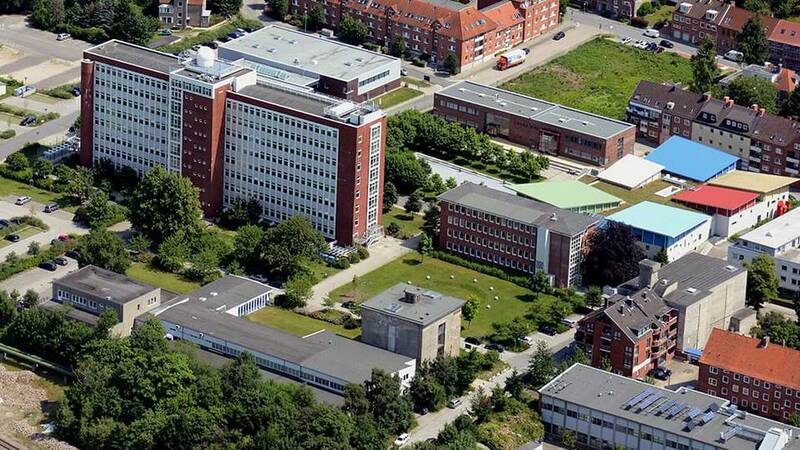 Kiel University of Applied Sciences as we know it was founded on 1 August 1969 as a result of the merger of several state-run schools of engineering and technical colleges which in themselves can look back on a history of more than 100 years. Its campus is located directly on the waterfront of Kiel's firth. With its more than 7,300 students (2018), Kiel University of Applied Sciences is the largest institution of its kind in Schleswig-Holstein. Those interested in studying here can choose from a wide range of options: around 35 Bachelor‘s and Master‘s degrees, supplementary degrees and continuing education courses are offered by the faculties of Agriculture, Business Management, Computer Science & Electrical Engineering, Mechanical Engineering, Media, and Social Work & Health. The Faculty of Agriculture can be found not far from Kiel in rural Osterrönfeld, near Rendsburg on the Kiel Canal. The University’s main campus is located in Kiel.